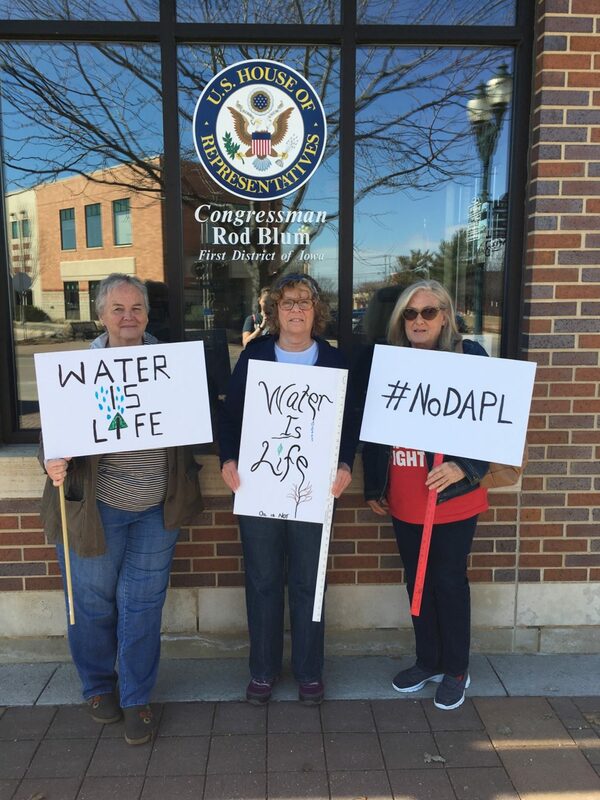 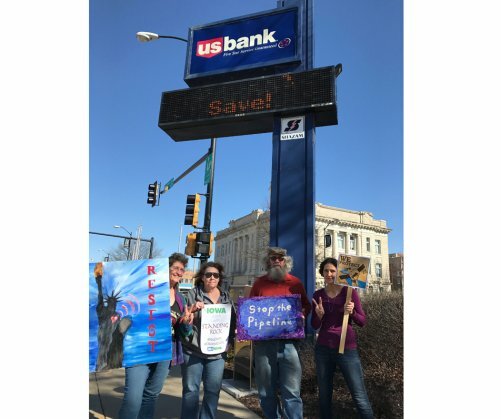 On Wednesday, Feb. 22, Bold Iowa organized a statewide #NoDAPL Day of Direct Action, which included events in 10 cities aimed at raising awareness and engaging in acts of nonviolent civil disobedience to protest the Dakota Access pipeline. 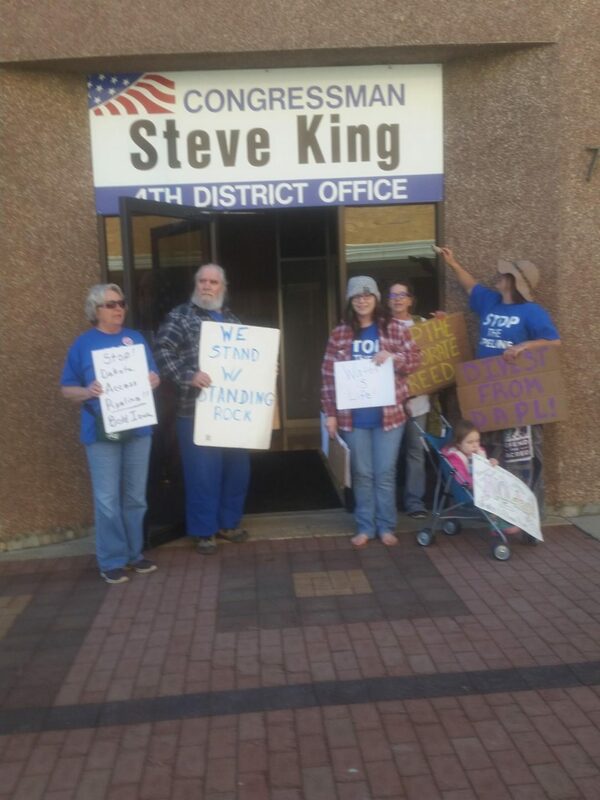 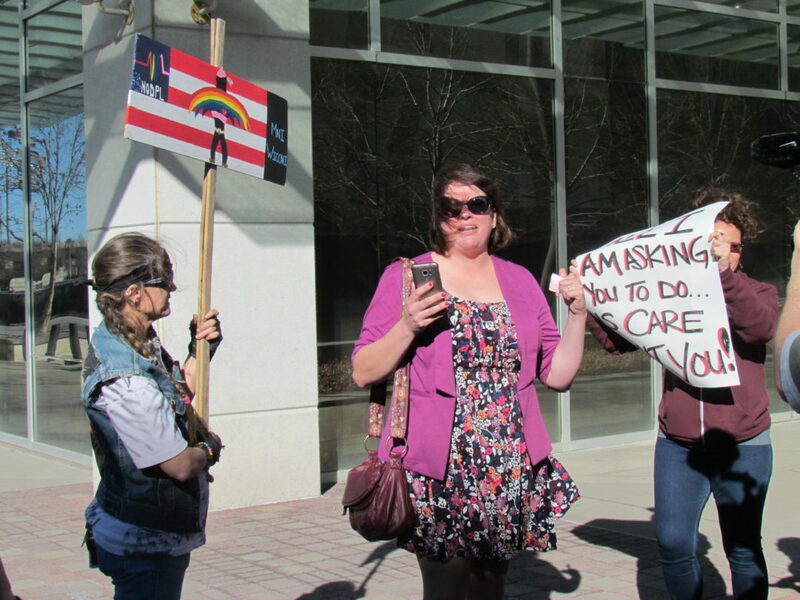 Actions included rallies at the offices of elected officials Rep. Steve King and Rep. David Young, and a sit-in at Gov. 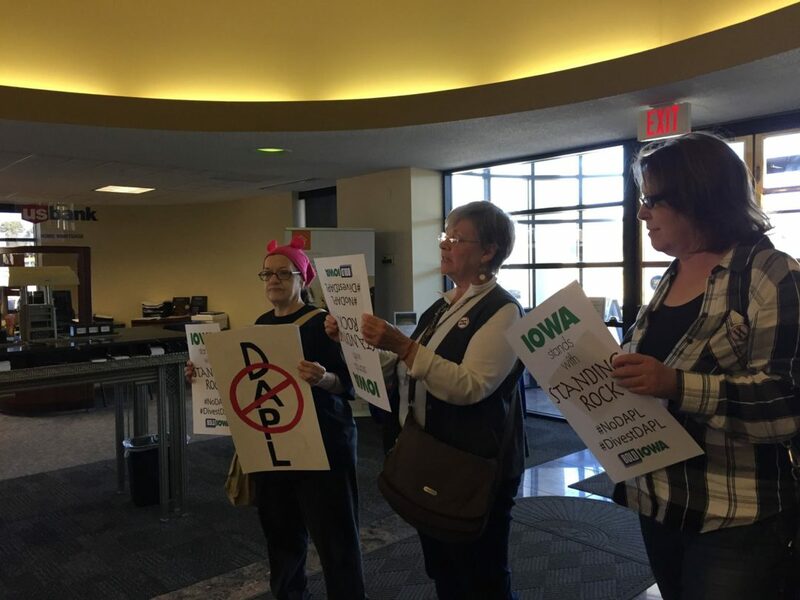 Branstad’s office that resulted in four arrests for nonviolent civil disobedience.